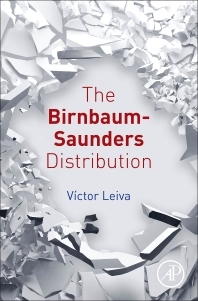 The Birnbaum-Saunders Distribution presents the statistical theory, methodology, and applications of the Birnbaum-Saunders distribution, a very flexible distribution for modeling different types of data (mainly lifetime data). The book describes the most recent theoretical developments of this model, including properties, transformations and related distributions, lifetime analysis, and shape analysis. It discusses methods of inference based on uncensored and censored data, goodness-of-fit tests, and random number generation algorithms for the Birnbaum-Saunders distribution, also presenting existing and future applications.